This is the first post from Robyn Gower, the newest member of the Inspiration Room editorial team. She will be focusing on design, photography, trends and inspirational ideas. Welcome to the team Robyn! This Christmas, take refuge from the barrage of saccharine Christmas promotions by immersing yourself in the cinematic vision of Magnum photographer, Trent Parke, whose new series captures those surreal family moments the rest of us normally glimpse through a haze of over indulgence. The series, entitled The Christmas Tree Bucket, started when Parke, having just moved from Sydney to the suburbs of Adelaide, found himself at his in-laws, vomiting into the bucket that the family uses for its Christmas tree. 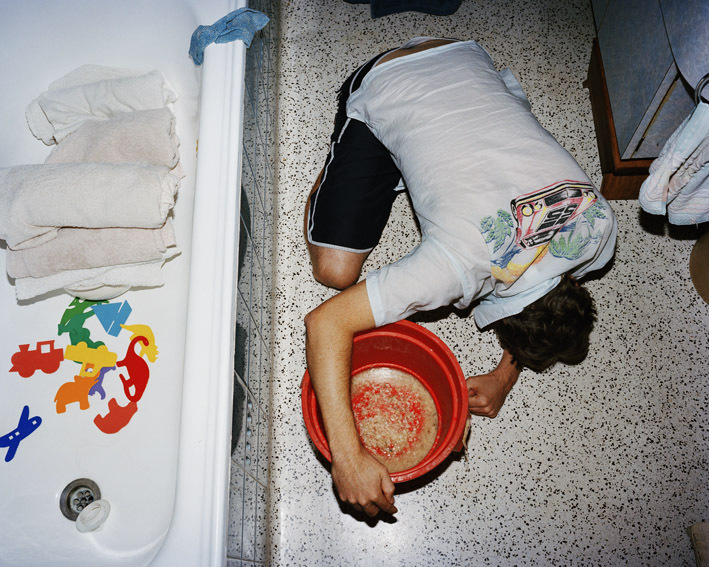 He had contracted a mysterious stomach bug and, being the obsessive image maker that he is, he asked his partner, the renowned documentary photographer, Narelle Autio, to capture the moment. “Narelle came out and climbed on to a table. The sudden blast of the flash lit up what I could smell, but couldn’t see – bright, brilliant, red. 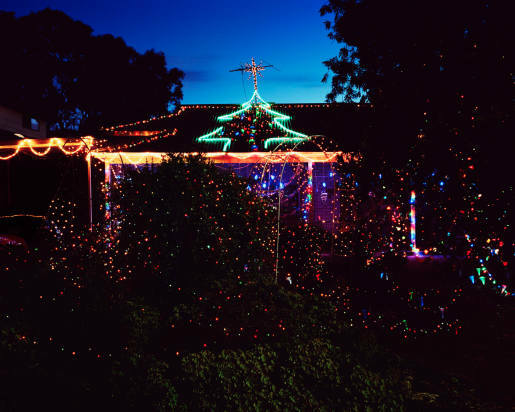 It was there – while staring into that bright red bucket, vomiting every hour on the hour for fifteen hours straight – that I started to think how strange families, suburbia, life, vomit and, in particular, Christmas really was,” he said. That year, and the year after, Trent decided to focus his lens on those odd family moments, and the weird and wonderful juxtapositions between sentiment, commerce and banality. Renowned, worldwide, for his expert use of light (“I am forever chasing light. Light turns the ordinary into the magical”), Parke has created a series of dark yet profound images; most of which feature members of his extended family, and their suburban lives. 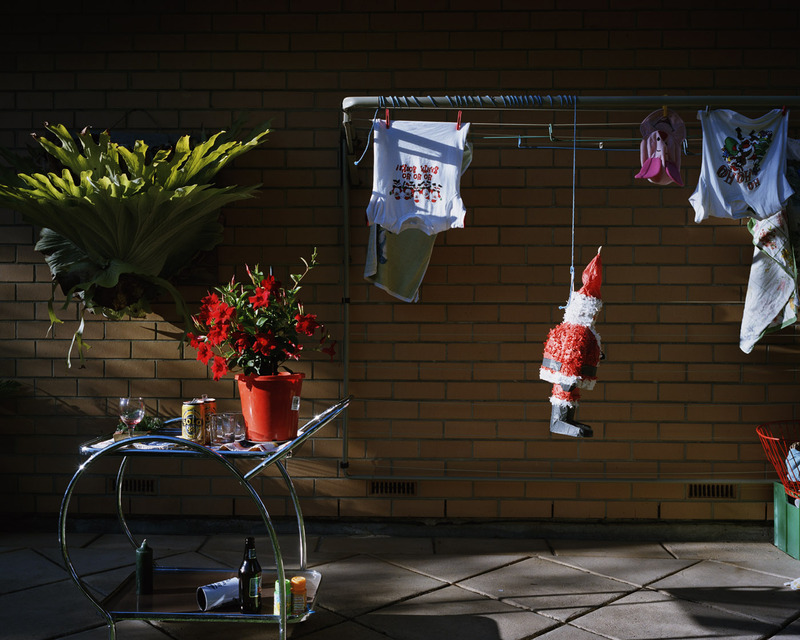 The Christmas Tree Bucket is currently on show at The Australian Centre for Photography Images can also be seen online at the Stills Gallery. Trent Parke is represented in Australia by Stills Gallery and by Magnum Photo Agency internationally. He remains committed to exploring photographic territory that few others appear to see. Images © Trent Parke. Images provided courtesy of Trent Parke and Stills Gallery. Robyn is former editor of Australian CREATIVE and Inside Australian Design Review. She has also worked as an innovation and trends researcher at one of Australia’s leading branding agencies, The One Centre. She believes in the theories put forward by Malcolm Gladwell in Blink! – that good design is the foundation of successful businesses, and not just something for the aesthetically minded elite. Indeed, she concurs with Gladwell’s recent statement that American car makers only had themselves to blame for “designing ugly cars” that failed to inspire the masses. She believes that the internet, and online resources like The Inspiration Room can indeed inspire and lead clients to new solutions.